Mood disorders represent an overarching category of illness related to mood, the underlying and longitudinal emotional state of the individual. Two groups of mood disorders are broadly recognized; the division is based on whether the person has ever had a manic or hypomanic episode. Thus, there are depressive disorders, of which the best known and most researched is major depressive disorder (MDD) commonly called clinical depression or major depression, and bipolar disorder (BD), formerly known as “manic depression” and described by intermittent periods of manic and depressed episodes. Major depression, otherwise referred to as unipolar or clinical depression, is a major cause of morbidity and decreased productivity in our society. Risk factors for depression include lack of a loving relationship, loss of friends and other social, occupational and financial stressors, genetic history as well as drug and alcohol abuse. Depression is a major risk factor for suicide, and Studies have demonstrated that asking if a depressed friend or family member has thought of committing suicide is an effective way of identifying those at risk, and it does not “plant” the idea or increase an individual’s risk for suicide in any way. Symptoms of major depression can include feelings of sadness, worthlessness, fatigue, changes in appetite, loss of motivation or pleasure in life, sleep difficulties, difficulties with attention and concentration, and thoughts of suicide. For some, these periods come on fairly suddenly and strongly and tend to last for a few weeks to a few months. For others, the feelings of sadness, hopelessness, low self esteem, and general dissatisfaction with life are more pervasive and longstanding; it may be difficult to remember a time when you did feel satisfied with life.Studies show that while depression can sometimes improve by itself, often it does not and may require treatment. Other studies show that even if depression were to improve without professional help, it usually improves quicker and more robustly with treatment. 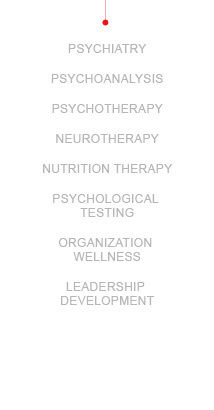 The best treatment is often a combination of psychotherapy and antidepressant medication. Melancholic depression is characterized by a loss of pleasure in most or all activities, a failure of reactivity to pleasurable stimuli, a quality of depressed mood more pronounced than that of grief or loss, a worsening of symptoms in the morning hours, early morning waking, psychomotor retardation, excessive weight loss or excessive guilt. Atypical depression (AD) is characterized by mood reactivity and positivity, significant weight gain or increased appetite-comfort eating, excessive sleep, a sensation of heaviness in limbs known as leaden paralysis, and significant social impairment as a consequence of hypersensitivity to perceived interpersonal rejection. Psychotic major depression (PMD), commonly a melancholic type of depression nature where the patient experiences psychotic symptoms such as delusions or, less commonly, and hallucinations. Catatonic depression is a rare form of major depression involving disturbances of motor behavior and other symptoms. Here the person is mute and either immobile or exhibits purposeless or even bizarre movements. Catatonic symptoms also occur in schizophrenia or mania. Seasonal affective disorder (SAD) is a type of depression with seasonal pattern, with depressive episodes coming on in the autumn or winter, and resolving in spring. The diagnosis is made if at least two episodes have occurred in colder months with none at other times over a two-year period or longer. SAD is more common in young adults. Postpartum depression (PPD) refers to the intense, sustained and sometimes disabling depression experienced by women after giving birth. Postpartum depression, which has incidence rate of 10–15%, typically sets in within three months of labor, and lasts as long as three months. Postpartum depression is different than Postpartum Blues, a commonly experienced and short term feeling of tiredness and sadness in the first few weeks after giving birth, which may occur in up to 30-50% of women; however, postpartum depression is different because it can cause significant hardship and impaired functioning at home, as well as possibly difficulty in relationships with family members, spouses, friends, or even problems bonding with the newborn. For breastfeeding women with depressionnortriptyline, paroxetine (Paxil), and sertraline (Zoloft) are generally considered to be the preferred medications. Dysthymia is a chronic low-grade depression, which is experienced most days of the year, for at least two years. Patients experience little or no joy in their lives, feel gloomy most of the time, and believe they have been depressed their whole life. They might tend to be withdrawn, worry frequently, or criticize themselves as being a failure. The symptoms are not as severe as those for major depression, although people with dysthymia are vulnerable to secondary episodes of major depression– double depression.The treatment of dysthymia is largely the same as for major depression, including antidepressant medications and psychotherapy.